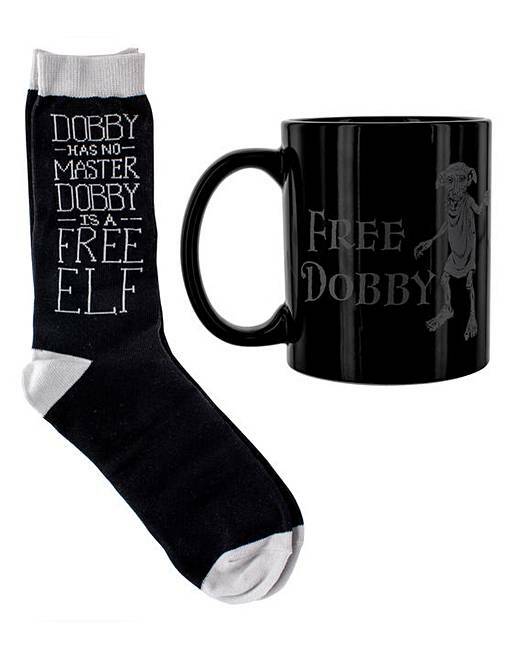 Dobby Mug and Socks Set is rated 4.0 out of 5 by 1. Take your favourite house elf with you at all times and enjoy a cuppa in his company with this wonderful Dobby Mug and Socks Set. These comfy socks are black with grey detailing and feature the phrase ‘Dobby has no master, Dobby is a free elf’ on the side. 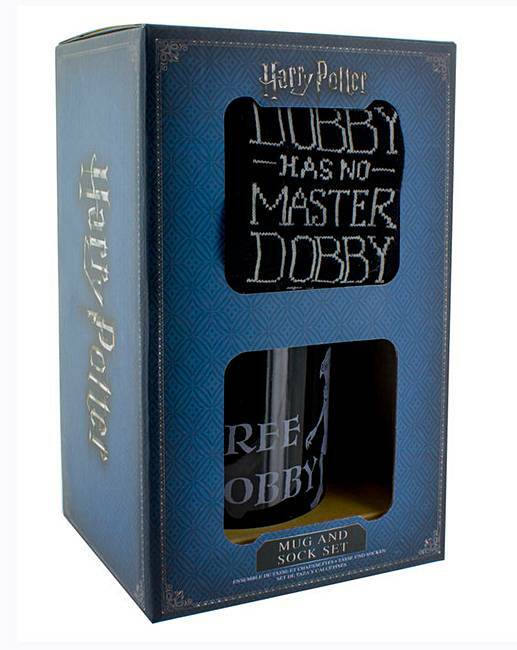 The standard sized tin mug included in the pack is also black with grey detailing and features Dobby and the phrase ‘Free Dobby’ printed on its side. This fantastic set is a great gift for fans of the Harry Potter series, and is particularly great for lovers of the adorable house elf Dobby. First published in 1997, J.K. Rowling's bestselling series of novels following the magical adventures of Harry Potter, Ron Weasley and Hermione Granger has since become a cultural phenomenon. A huge success in novel form, the world of witchcraft and wizardry was then given big screen treatment in 2001, launching one of the most successful blockbuster film franchises in cinema history. Harry Potter is instantly recognisable to millions of people across the world, and is hugely popular among fans of all ages. 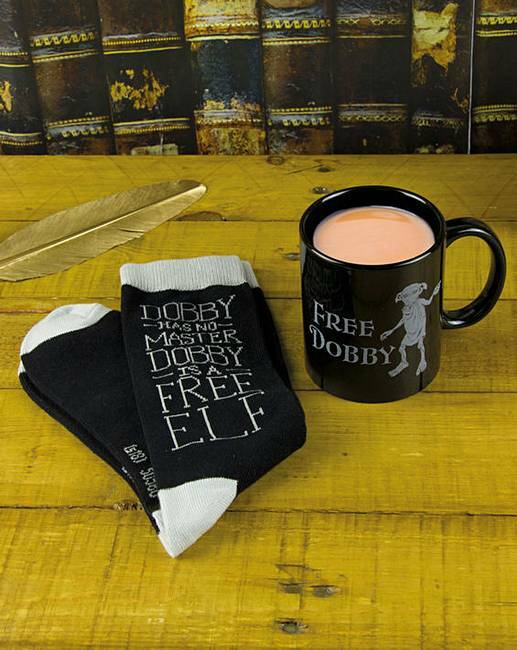 The Dobby Mug and Socks Set is an officially licensed Harry Potter product. UK men’s size 7 - 11 (EU 40 - 45, US 8 - 12). Rated 4 out of 5 by TatMinbar from Great Bought for Hubby. He seems to like the mug but complains the socks are a little tight. Apart from this not a bad purchase. Well made. Ideal for any Potter fans out there.